Belgians Dimitri Vegas & Like Mike recently won four EMPO Awards, gathering the haul including ‘Best EDM DJ’, ‘Best Track’, ‘Best International DJ’ and ‘Best Duo’ during the weekend ceremony in Mexico City. 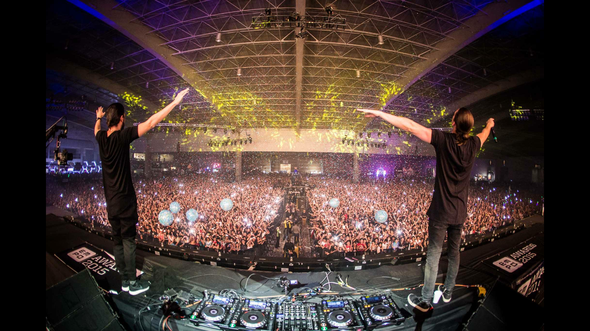 Attended by 30,000 Mexican fans, the pair also performed live with their usual mix of tunes at the Expo Bancomer. Fresh off an opening show for their Las Vegas residency with Hakkasan and doing well with their Martin Garrix collaboration ‘Tremor’, which won the ‘Best Track’ award, the duo are currently preparing to unleash their latest track, ‘The Hum’, a big-room track cooked up alongside Ummet Ozcan, due out on 20 April. 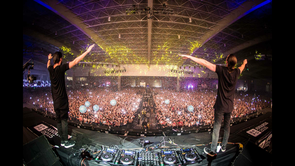 The pair’s presence across the globe also continues to gather pace, with their House Of Madness night returning to Ibiza this summer at Amnesia, in addition to various major festival appearances, including headline slots at Tomorrowland Brazil, EDC UK, Creamfields and their spiritual home of Tomorrowland Belgium. The EMPO Awards are the latest in a long line of awards for Dimitri Vegas & Like Mike, adding to the likes of their recent IDMA for ‘Best European DJ’.